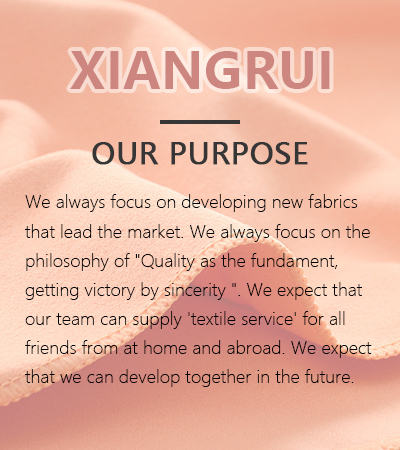 We have 29 years of experience in the textile industry, the production of velvet fabric with a unique technology .30 D, 50D polyester and nylon composite wire is a world leading level Wujiang Xiangrui Chemical Fiber Co., Ltd. is located in the textile town of Shengze, which is known as China's eastern silk capital. Our company covers an area of 10,000 square meters with convenient transportation, 90 kilometers west of Shanghai City. Firstly, all of our professional textile technicians graduated from textile institutes, including my boss. Secondly, we have our professional foreign trade businessmen. 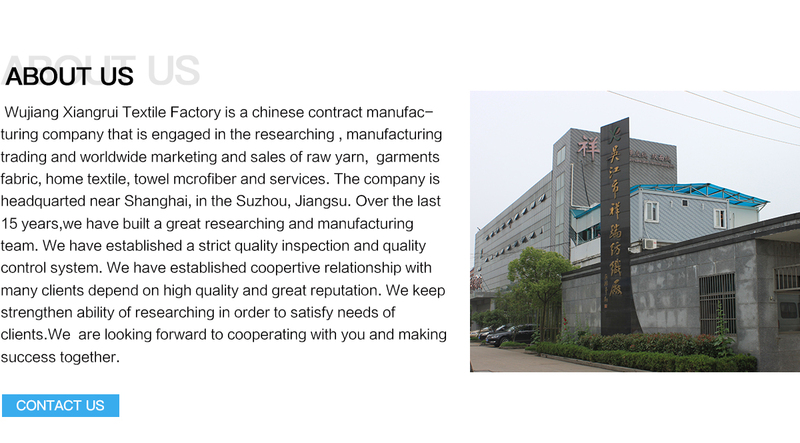 They are able to not only make satisfying fabrics according to customers' samples, but also design and develop new products according to customers' description. Firstly, our own equipment can make products with good quality. Secondly, during production, we have special QC persons. Thirdly, we are committed to the tenet of 'every meter of fabric is strictly inspected before shipment'. Firstly, we have our own factory and transportation team. Secondly, we have our own import and export power. Thirdly, we select the after-processing factories of high-quality as long-standing partners, of course, they can offer reasonable price.